The Try Guys have a pretty fun YouTube Channel, in which they write, direct and act in every single episode. They do, pretty much what the name says, and they try new things and show you the results. The group started on BuzzFeed, but left and started their own thing. 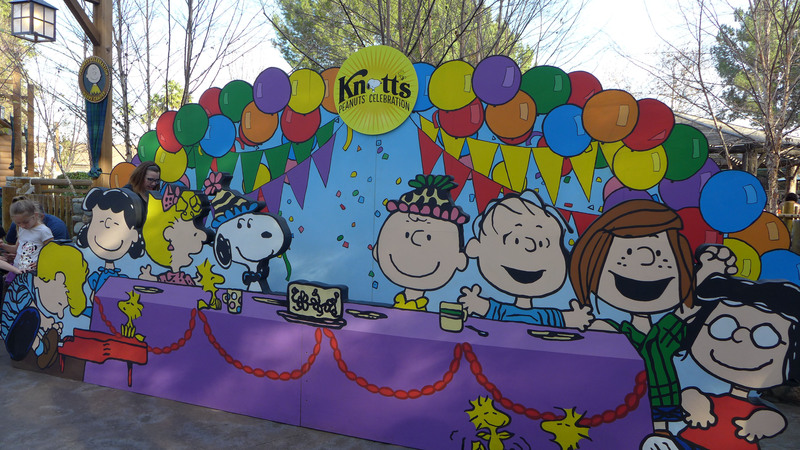 Today they stepped into our territory and have “crash tested” the all new Hang Time at Knott’s Berry Farm. The results are pretty hilarious, and actually quite informational. For those who aren’t familiar, Hang Time is the first and only Dive Coaster in California. It takes riders straight up, which is probably about the most nerve racking part, and then “hangs” riders over the edge before sending them down a 96 degree, beyond vertical drop. Warning-These guys are wusses, and obviously don’t ride a lot of coasters…so they use a lot of inappropriate language. Viewer discretion. I don’t think “crash test” is the best term you want to use when you test a roller coaster, especially if you have an irrational fear of them. But I love the science behind it all. Coasters do give you a euphoric feeling because of endorphins your brain releases while riding. 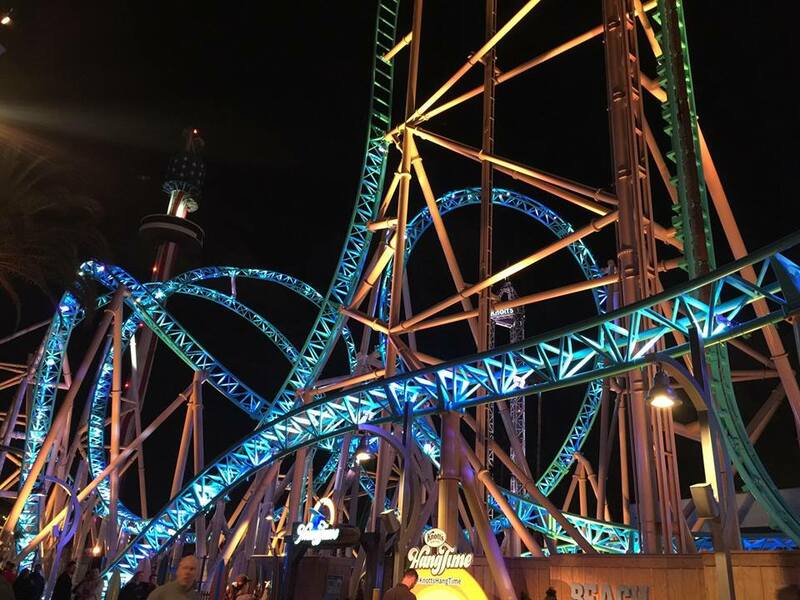 It’s that feeling that all of us coaster lovers know quite well, and the fact that there’s really no real danger on a roller coaster (most of the time), yet our bodies react in ways that make us feel like the danger is real. The physics of the coaster, especially with the 96 degree drop, come into play with all that “air time” as you go up and over hills, and through inversions. It truly is a great ride, and this was a hilarious way to experience it. Plus, who wouldn’t love the chance to ride Hang Time ten times in a row, without lines?!?! 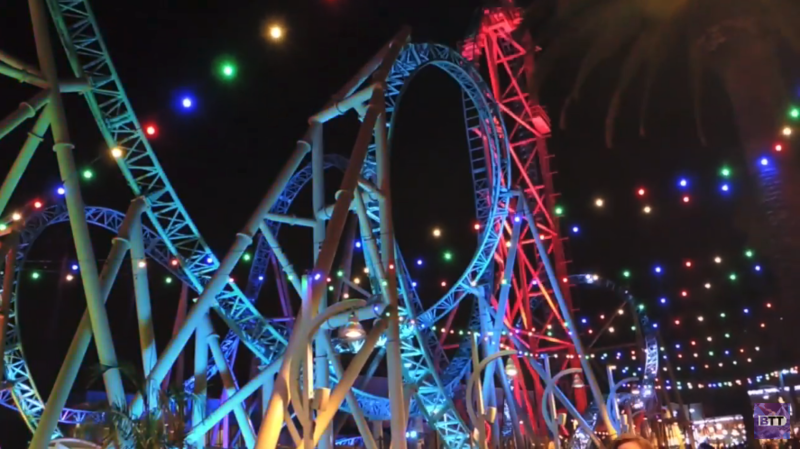 Video-Ride Hang Time at night at Knott’s Berry Farm! 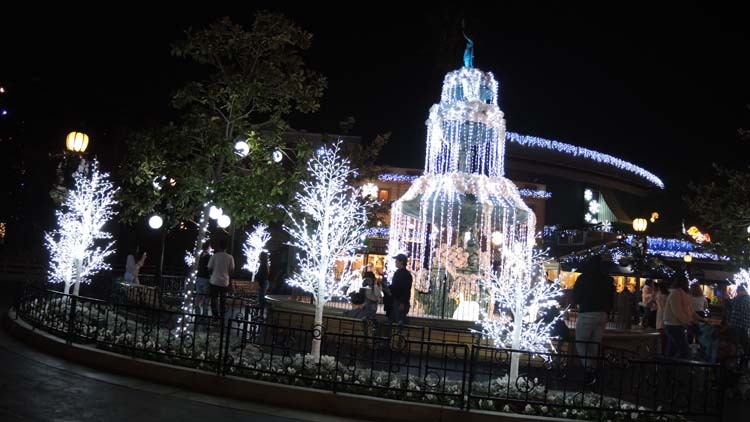 Hang Time is the latest addition at Knott’s Berry Farm, which is having an amazing summer with not only the new coaster, but also with Ghost Town Alive.